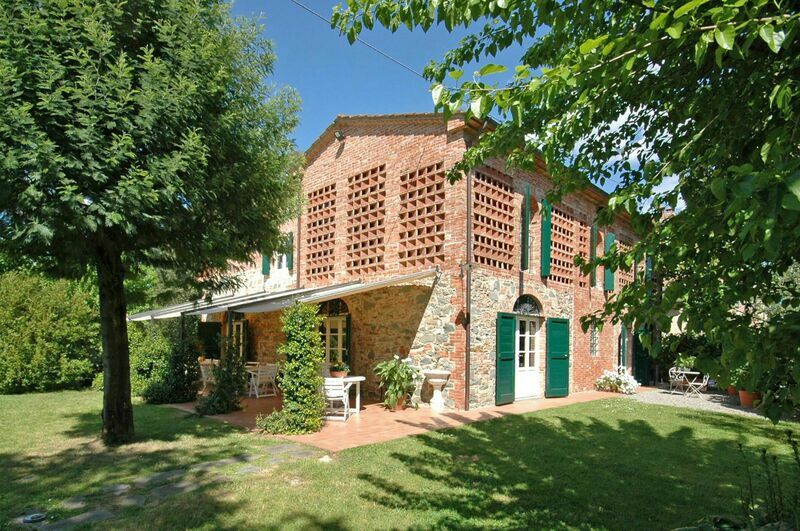 Beautiful stone farmhouse situated in quiet and panoramic location in the countryside surrounding Lucca. This villa has been recently restored preserving its original architectural features and turned into a charming private country villa offering comfortable and tastefully furnished interiors. The house is near the main villa where the owners live but it is completely independent and is provided with a large private garden as well as a private swimming-pool. Small pets are allowed. Distances: the small town of Orentano with food shops 1,5 km away, Altopascio with all kinds of shops and main services 5 km, the lovely town of Lucca 15 km away, Pisa (airport) approx. 40 km, Florence (airport) approx. 55 km away, the renowned town of Montecatini Terme with spas and golf courses 15 km, the coastline (Versilia) with beautiful equipped beaches about 40 km away. At guests’ disposal: private garden equipped with tables, chairs and sun-umbrellas, large private swimming-pool with sun-beds (14 x 6 m – maximum depth 1,8 m – open from 25/04 to 15/10), furnished covered veranda, barbecue, table tennis, mountain bikes for rent. Telephone, high-speed wireless Internet connection, washing-machine, ironing facilities and vacuum cleaner available. CD and DVD available. Covered parking within the grounds. Horse-back riding facilities, tennis courts and golf courses are available in the surrounding area. Pool towels are provided at no extra costs.